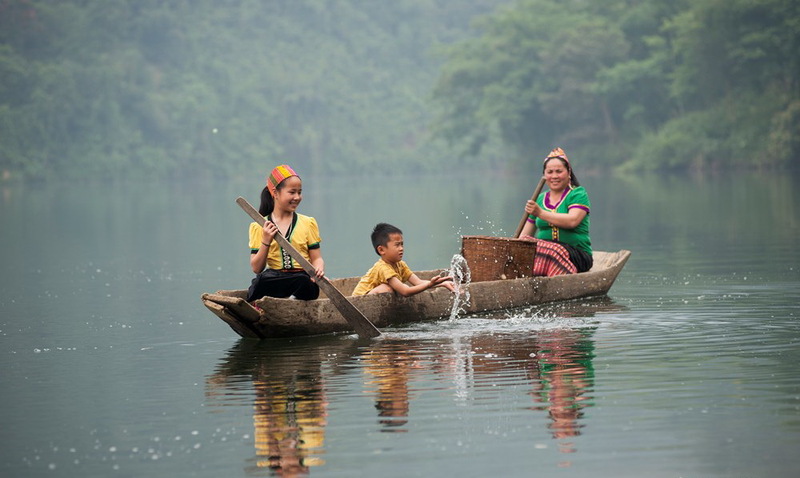 Vietnam has over 54 different ethnic groups. Each group has its own customs, traditions and handicrafts. 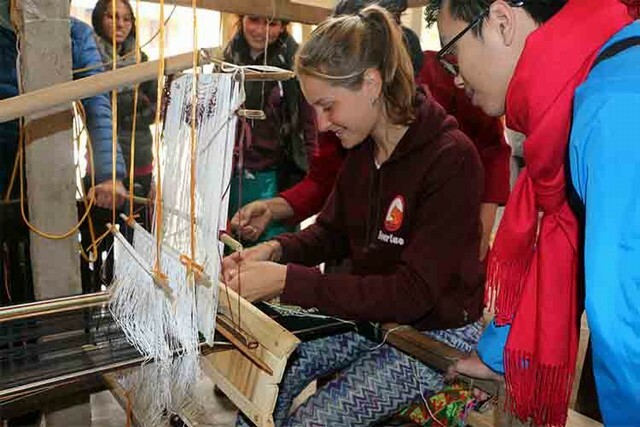 Among them, many villages have gradually been lost their traditional handicrafts due to the cultural exchange and the rapid development of modern economy. 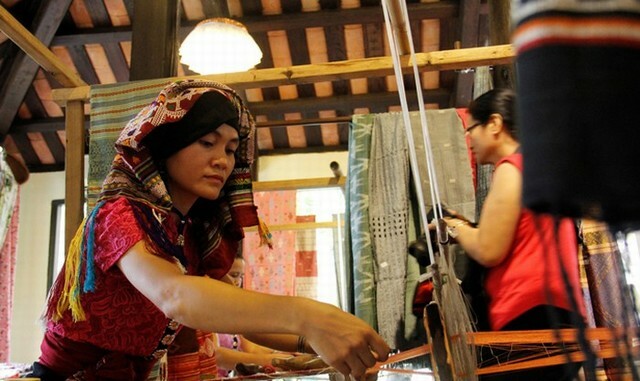 However, the Hoa Tien village of brocade weaving in Quy Chau, Nghe An still retains its unique origin. Brocade weaving handicraft have been absorbed, preserved and handed down by generations. Each artisans put a lot of effort into the product, blowing the soul into the unique pattern to make them more alive. 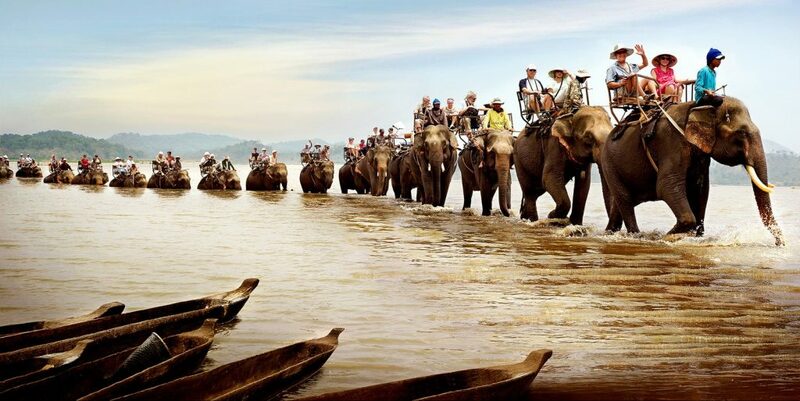 Let our tour guide have the opportunity to help you experience these exciting activities. Drinks of meals. Personal expenses. Visit the local market to understand the trading style of the indigenous people. Stay overnight at the homestay in the village of Thai ethnic group. You will eat, stay, join to work and live with indigenous ethnic families fortheir unique and interesting customs. Enjoy the local food that you may only have the opportunity to try once in your life. Enjoy the fresh air of the countryside, relax in the nature and escape the stressful life of the city. 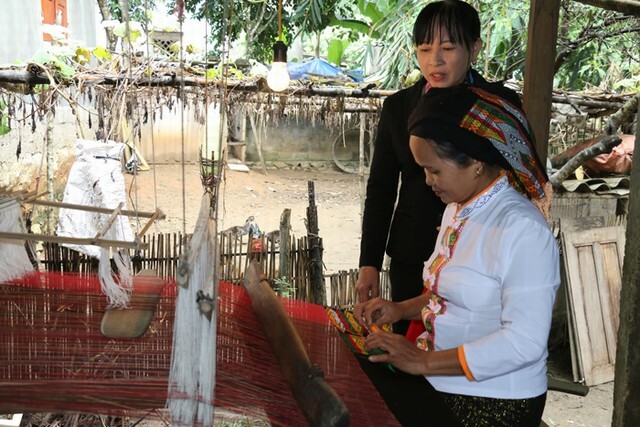 The highlight of the tour is that you have the opportunity to experience the unique brocade weaving of the Thai ethnic people, listening to the interesting sharing of weaving know-how that only passed down to the people in the village. 7:00 AM – Our driver and tour guide will pick you from your hotel (within Vinh area) and take you to one of the best “Eel Soup” restaurants in Vinh city. This is a specialty of our local cuisine with a simple cooking recipe but delicious taste. 8:00 AM – Vietnamese people have a habit of buying and using fresh food so they go to the market every day. We will visit such local market on the way to Quy Chau. 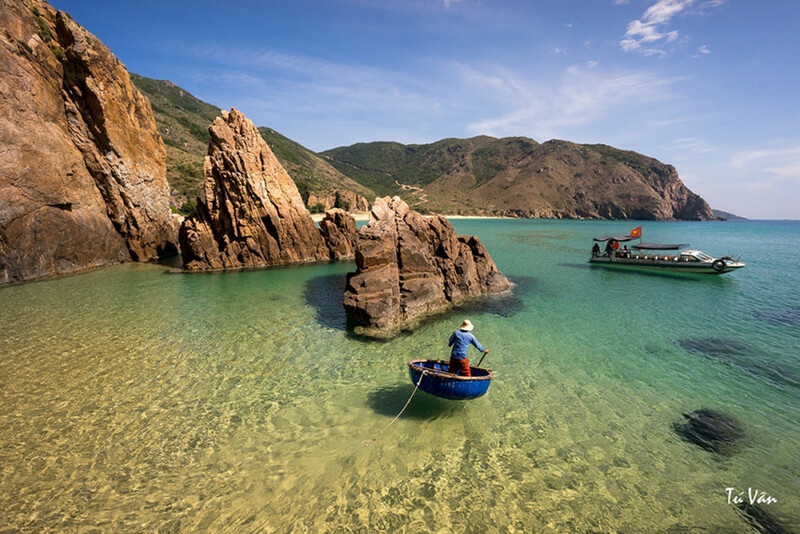 Here, you can have chance to experience how the locals purchase and bargain, and see many kind of the fresh food including specialties that only have in the tropics. 8:30 AM – 12:00 PM – We take a long drive with interesting scene two sides of the road, it might spend 5 hours to arrive in Quy Chau District. After arrive the homestay, you will have lunch here with delicious food prepared by the locals.The cuisine style has the unique favor of Thai Ethnic group. Anh then, you can take a rest at the homestay in an hour. 2:00 PM – 5:00 PM – The afternoon is a great time to walk in the village, visit the vast rice field with the special “waterwheels” of Thai Ethnic People, this is the traditional way of watering the rice fields in this area. Fresh air and the colorful extensive nature will help you relax in the quiet sunset. 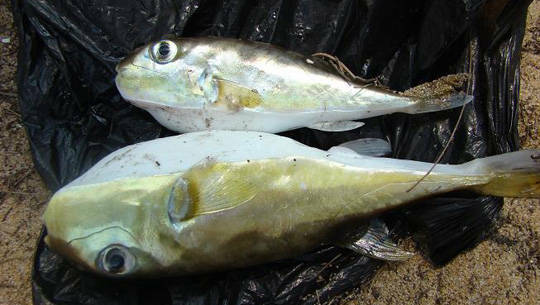 In addition, you can experience the daily activities of native people such as catching fishes by yourselves with net, cook the traditional dishes or pounding rice with the locals. 6:30 PM – We go back to Thai Ethnic Homestay. 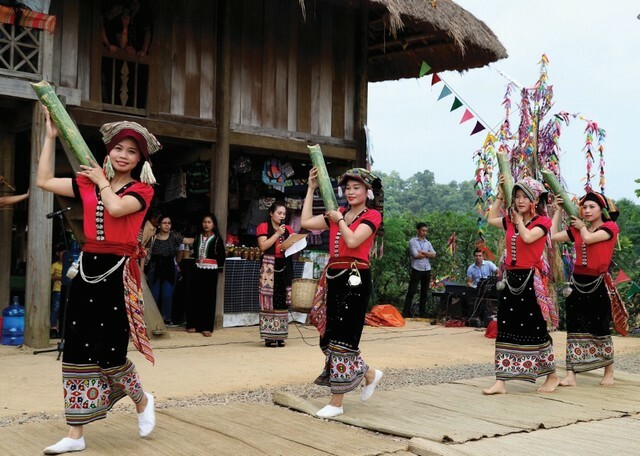 Vietnam has many ethnic minority groups with traditional houses; however, the stilt-houses and culture of the Thai ethnic villages are unique. You will have a chance to see and learn about their daily life and enjoy the real organic and tasty food dishes. Stay overnight at homestay in the village. 7:30 AM – You will have a great breakfast at the homestay with the local chicken soup. 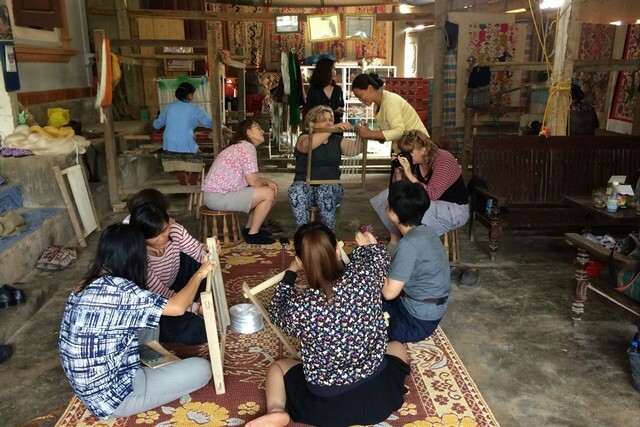 Then, we start the day with a visit to the traditional village – one of the highlights of the trip – Hoa Tien brocade weaving village. 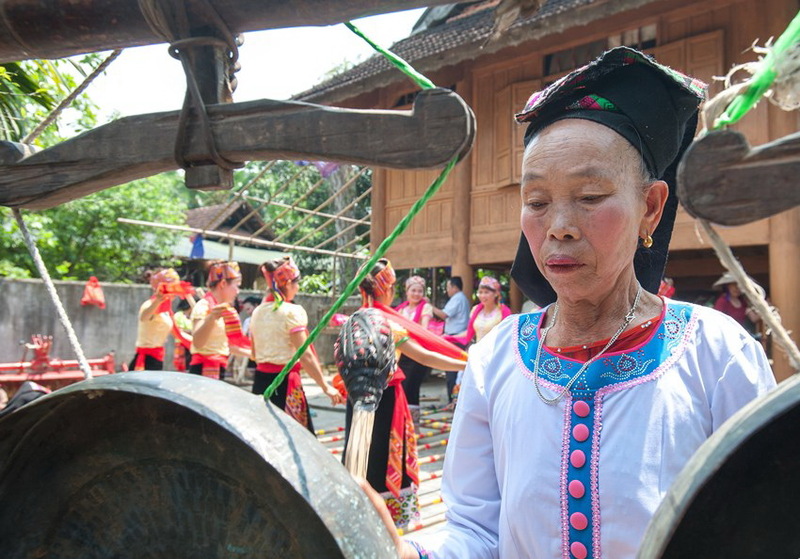 8:30 AM – 11:00 AM – We go to Hoa Tien Traditional Village located in the west of Nghe An, Quy Chau is inhabited by Thai ethnic people whose tradition is based in rice cultivation and the crafts of textiles and woodwork. 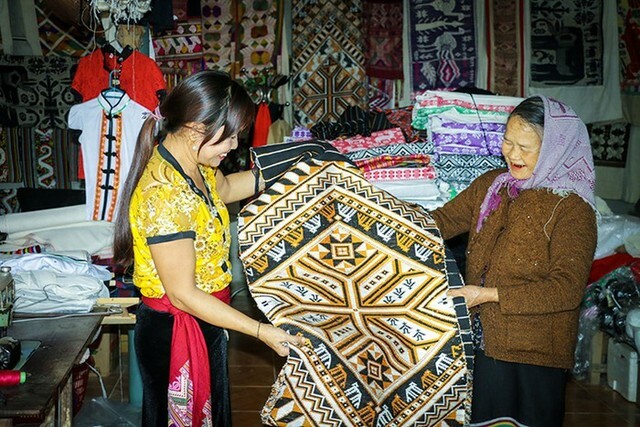 Hoa Tien is one of the famous and longtime brocade weaving “cradle” of Thai people in Nghe An province for more than 100 years. Brocade weaving of Thai’s people in Hoa Tien Traditional Village, Quy Chau district has been existed for such a long time. The brocade products were originally made for the family needs and to use as dowry when girl comes to her husband’s house. Thai women in Hoa Tien are adept with silk and cotton. Moreover, the distinguish natural dyeing technique from herb, flower, leaf, bark,… has made Hoa Tien brocade ranked as high value added products. It is interesting to see the tribal women set up the looms to create sophisticated patterns. 12:00 PM – Having lunch with local food. 2:00 PM – We head back to Vinh city; you will discover the uniqueness of street food in your dinner. 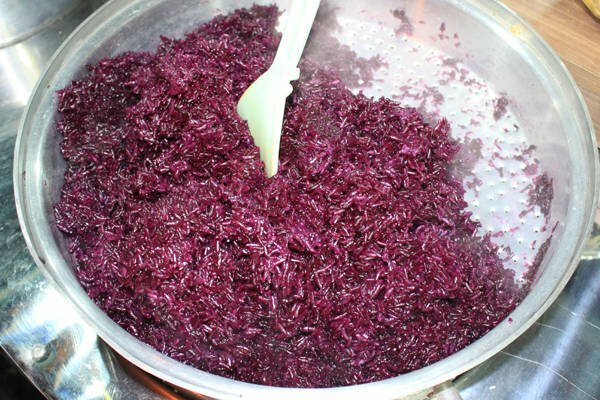 You can see real Vietnam in these popular and traditional dishes. We drop you at your hotel.